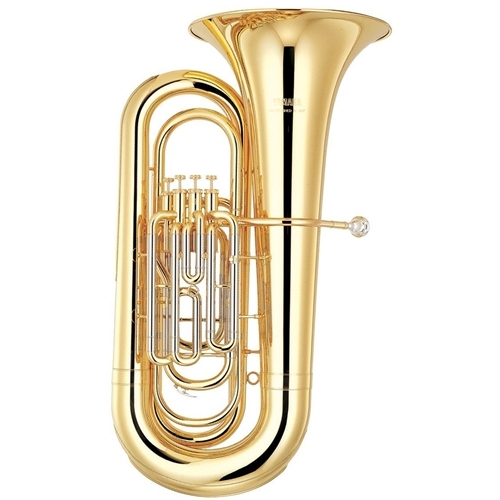 The Yamaha YEP-321 Euphonium features a small shank receiver with a .571 inch bore for easy tone production and response for the advancing student. The 4 nickel-plated top action valves offer excellent, quick action. The YEP-321 includes a hard case, small shank mouthpiece and valve oil. The YEP-321 Series is one of the most popular models with advancing players and band directors. Honed Valves The precise fit between valve casings and pistons after honing means no air leakage. Pressure Formed Tubing Perfectly rounded tubing results in less turbulence and a smoother air flow, allowing for an excellent scale and reduced resistance. Laser-Fused Pluzuma Welded Bell A high-energy laser fuses the brass together for a virtually seamless bell, which allows continuous even vibrations. Intonation The excellent intonation of the YEP-321 helps to foster a feel for correct pitch, especially in beginning players. Response The responsiveness of the YEP-321 assists beginning players in learning the phrasing of the euphonium.